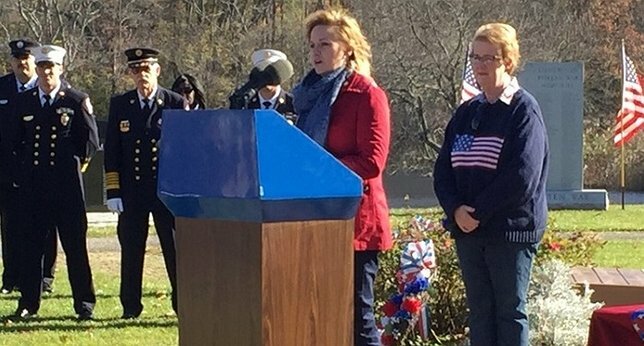 On Monday, November 11th, Suffolk County Legislator Sarah Anker joined members of the community at Bartlett Pond Park for a Veterans Day commemoration ceremony. Suffolk County Legislator Sarah Anker for a Veterans Day commemoration ceremony at Bartlett Pond Park. Middle Island, NY - November 17, 2016 - On Veterans Day, we honor the men and women who have fought for our freedom and the active duty military personnel who continue to fight for us at home and overseas. 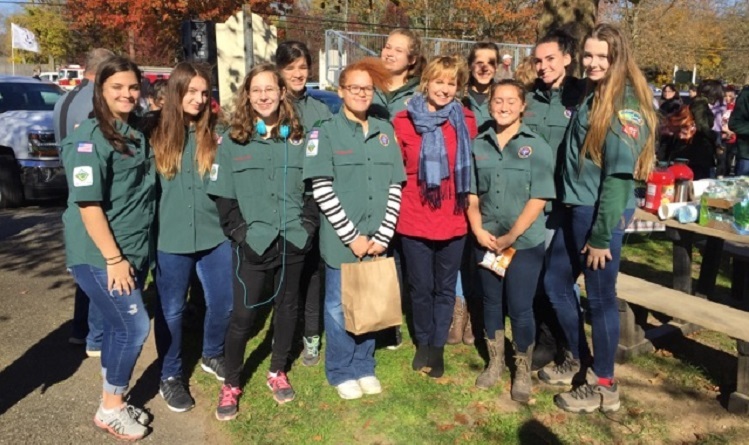 On Monday, November 11th, Suffolk County Legislator Sarah Anker joined the Middle Island Civic Association, the Middle Island Fire Department, and the Longwood community at Bartlett Pond Park for a Veterans Day commemoration ceremony. The event included a flag ceremony, poetry reading, wreath-laying, and unveiling of the newly engraved veterans’ monuments. At the ceremony, new name engravings were unveiled on the Vietnam War Memorial and the Global War on Terror Memorial. The names on the memorials at Bartlett Pond Park are the veterans who are from the Longwood community. The commemoration ceremony was sponsored by the Middle Island Civic Association, the Longwood Alliance, and Boy Scout Troop 433. For more information about upcoming events in Middle Island, please visit www.middleislandcivic.com. Subject: LongIsland.com - Your Name sent you Article details of "Legislator Anker Celebrates Veterans Day in Middle Island"